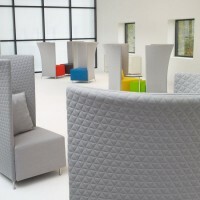 Dutch designer Gijs Papavoine has created the Scene XXL chair for Dutch manufacturer Montis. 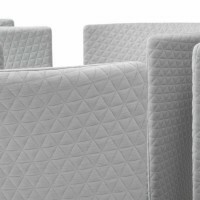 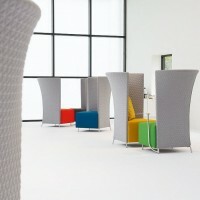 A modular seating system of squares and rectangles. 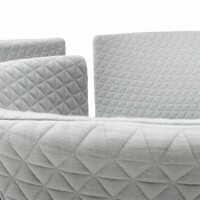 A large seat stands lightly on thin metal legs. 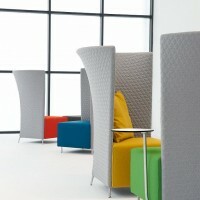 Scene is compact and relatively high. 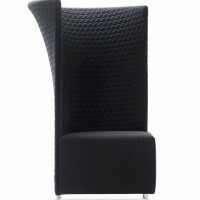 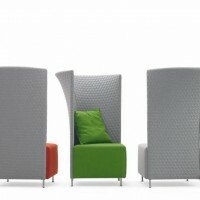 Slender backrests fold around the seating element, as a raised collar. 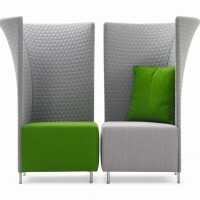 They can be ordered with the backs next to each other or diagonally facing each other in different configurations. 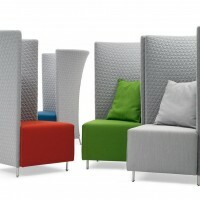 Because the round backs are folded around the seating elements, one person can sit in different positions without having to move anything. 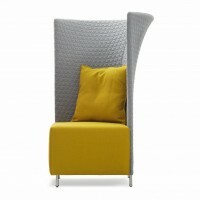 Its high compact seat, its elegant curvaceous backs and cushions make the Scene a lively display in big or small spaces. 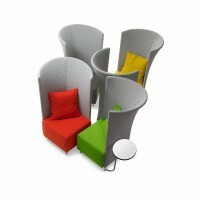 Scene is very suitable for lobbies, waiting and living rooms. 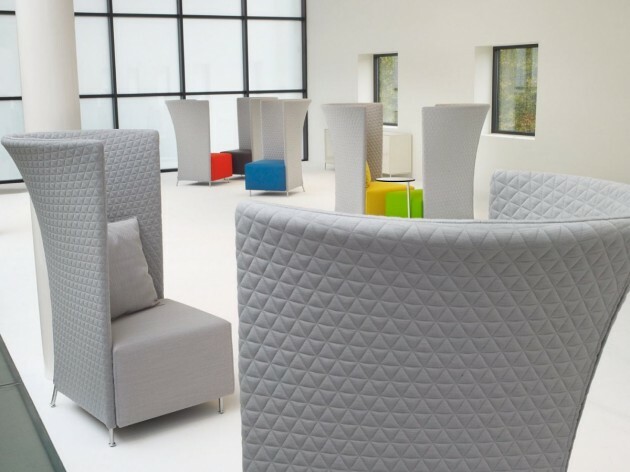 Visit the Montis website – here.